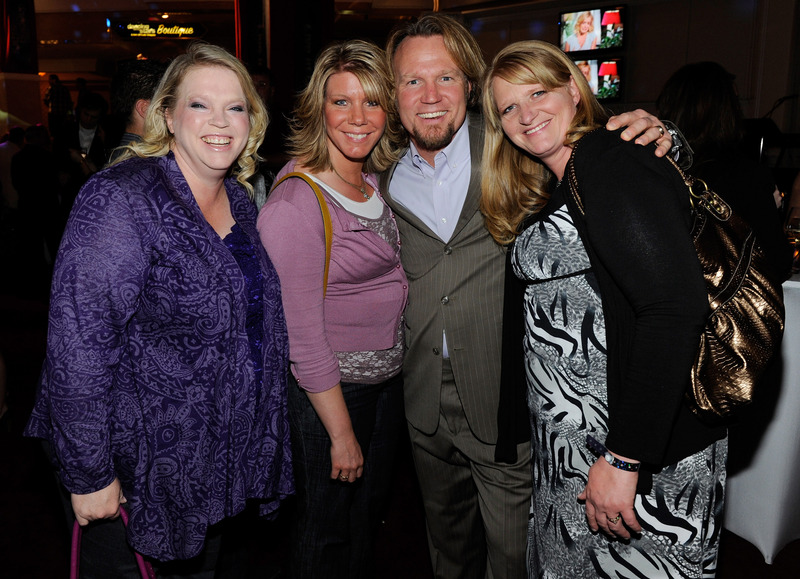 If I was in charge of the budget for the family on TLC's Sister Wives, I would probably begin and end each day in tears. Those people are going through a lot of money. Between what the mortgage payments must be for their four (really nice) houses, what they must spend on groceries to feed 17 kids and five adults, and the fact that their oldest children are now all in college? I don't even want to think about what that must cost. And we really see any of these people go to work on the show. So what's the deal? How do the Browns afford being Sister Wives with a large family? It's no secret that the Browns have filed for bankruptcy in the past. In 2005, Kody and Meri filed, claiming $90,000 of debt, as shown in documents posted on Scribd, while Christine filed herself a few years later. And, of course, the family wasn't shy about talking about how far their budgets were stretched when they built their houses on their beloved cul de sac when they first moved to Las Vegas. So how are they making this work? From what I can tell, it looks like a big, stressful balancing act that makes me so relieved I'm only responsible for myself at this point in my life. I'm assuming these make up the bulk of their income, and although an exact figure has never been published, The Stir estimated that the Browns make $50,000 per episode — and since they made that estimate in 2013, that number (if accurate) has probably gone up. Multiply that by at least 10 episodes per season, and it probably helps pay many of their bills. Which, to its credit, does seem to be picking up steam now that they've introduced new merchandise and lowered some of their incredibly ridiculous prices after receiving some solid advice from an investor. I can't imagine the site makes enough to be their primary source of income, but it's definitely improving from the way it was performing in the past. As of last January, anyway. Looking for a home in Vegas? Give Janelle a call.